Our mission at Avant Gynecology is to provide exceptional, compassionate care to women at every stage of their lives. We hope that every patient feels appreciated, listened to and cared for every time they walk into our office. Our providers strive to be at the forefront of knowledge and skill in the fields of women’s health and gynecologic surgery, so our patients can get the best care possible. We welcome patients of all ages, races, sexual orientation, religions and nationalities. Avant Gynecology is a new name but represents a long-established practice that has been serving generations of women for more than 40 years. 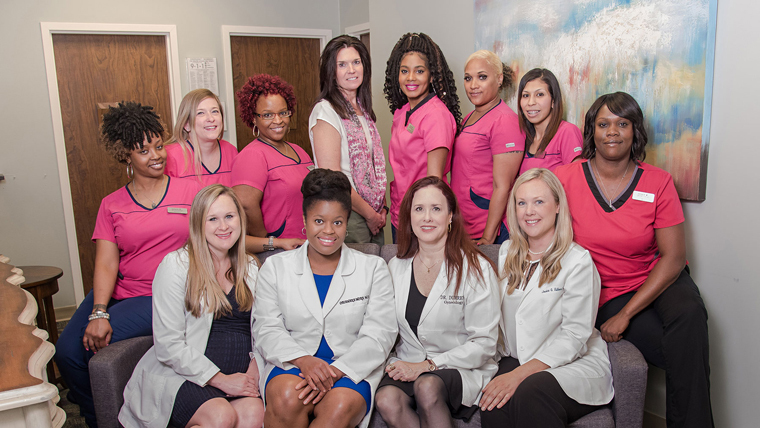 Originally established by founding physicians Dr. Stuart McDaniel and Dr. Walter Ratchford, Dr. Lynley Durrett joined in 2001, and the practice became known as McDaniel & Durrett Gynecology. 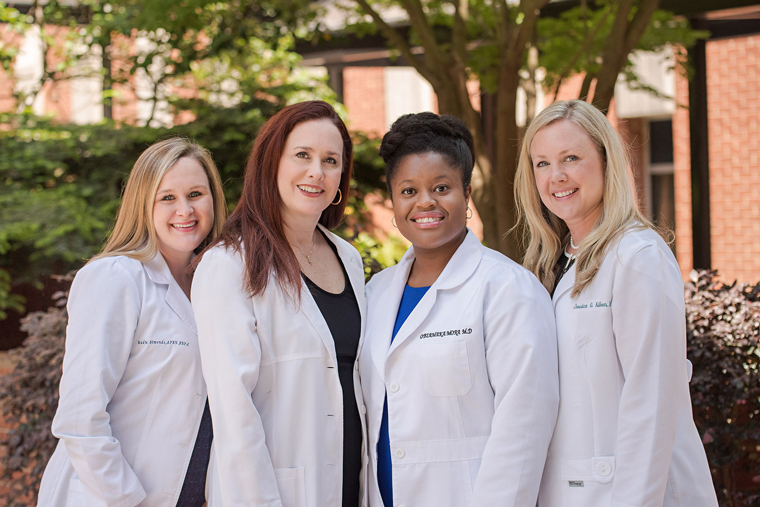 Dr. Obiamaka Mora later joined McDaniel & Durrett Gynecology in 2011 and oversaw the transition to Avant Gynecology in partnership with Dr. Durrett in 2018. After 20 years of providing obstetrics and gynecologic care, the practice transitioned to solely practicing gynecology. This has allowed our doctors the ability to refine their surgical skills and achieve great progress in keeping up with the newest advanced technologies in gynecologic medicine and surgery. In order to best meet the needs of our patients, we added a Northside office in 2014. We provide surgical services at both Piedmont Hospital and Northside Hospital. In consideration of other patients with scheduled appointments, if you arrive more than 15 minutes late for your appointment, you will be asked to reschedule. Or, if the provider’s time allows, we may be able to work you back into the schedule. As you know, Atlanta is a congested area with unpredictable traffic, so please allow extra time for travel and parking. Keeping your regularly scheduled appointment is important for your health, for the convenience of other patients, and for the efficiency of operations at our office. Therefore, we require a 24-hour notice if you need to cancel or reschedule your appointment for any reason. Otherwise, a $25.00 fee will be assessed to your account. We must emphasize that as medical providers our relationship is with you, not your insurance company. Our office participates with the majority of managed care plans with a few exceptions. To make sure we accept your specific insurance plan, please contact your insurance carrier prior to your appointment. Insurance cards are to be presented to the front desk at each visit. If you do not have your insurance card, you will be responsible for all applicable charges on the day of the visit, or we will be happy to reschedule your appointment for another time. Presenting an insurance card at each visit is required by the terms of your insurance contract. If you provide complete and accurate information about your insurance, we will submit claims to your insurance carrier. If your claim is rejected due to incorrect or coverage not in effect, then you are responsible for the charges. For self-pay patients, all charges are due at the time of your visit. This expense will vary based on the complexity of your visit and additional labs or tests ordered. Surgery patients are responsible for paying their deductibles and/or co-insurance prior to the surgery being performed. These are usually paid at your pre-op visit. You will be sent a letter, or personally called, informing you of the amount due.